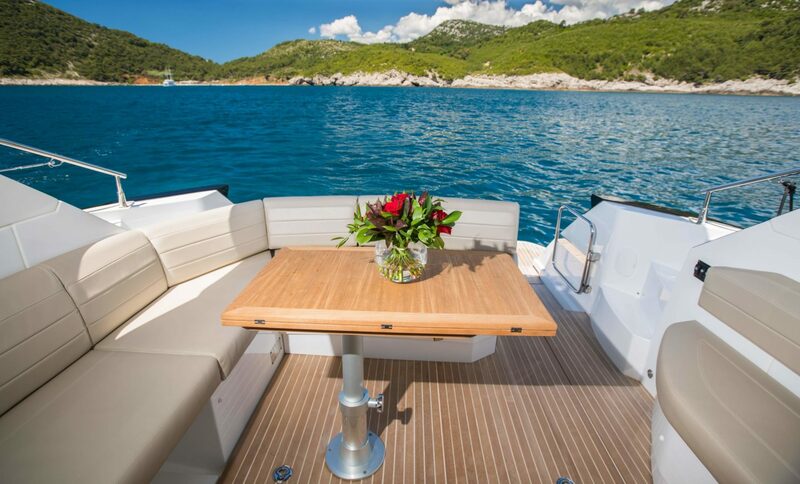 Experience sailing on the waves of the Adriatic Sea with style, in our brand new, luxury and cosy yacht GT40. 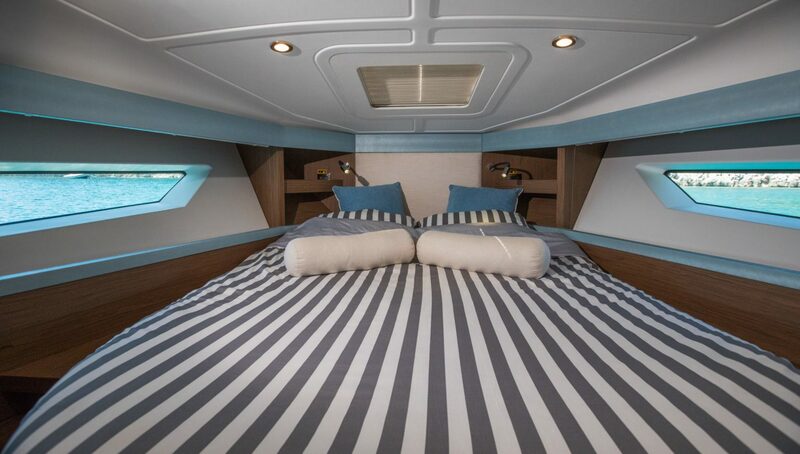 The Gran Turismo of Beneteau is love at first sight. 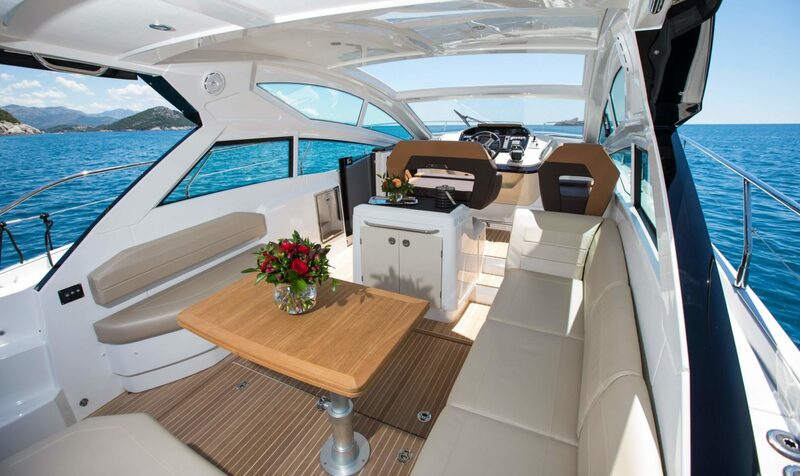 The sport cruiser with its racy lines and its spacious secure cockpit guarantees power with elegance. Whether in “dolce vita” or sporting mode, its performance twin engines ensure for those who come on board will experience a great sensation, fully relax and indulge in the beauty of our sun and the sea. 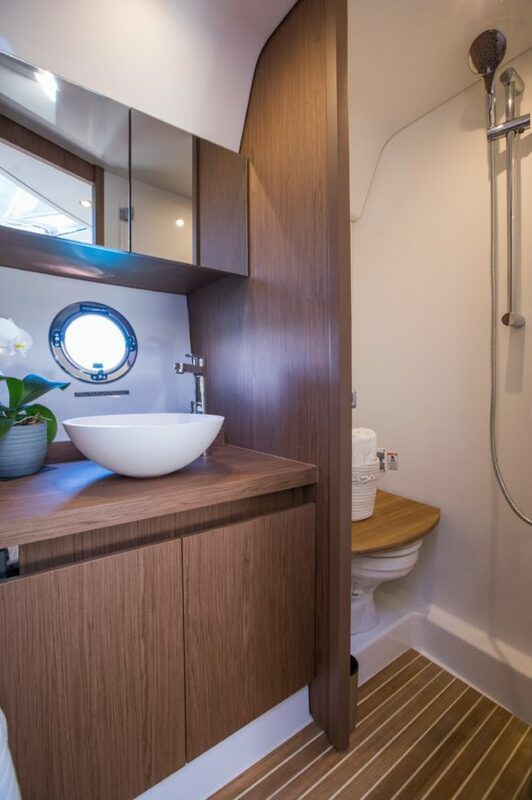 With its modernly designed interior with two cabins, spacious saloon with fully-equipped gallery and a bathroom with shower, the yacht is perfect for extended cruises with family and friends. 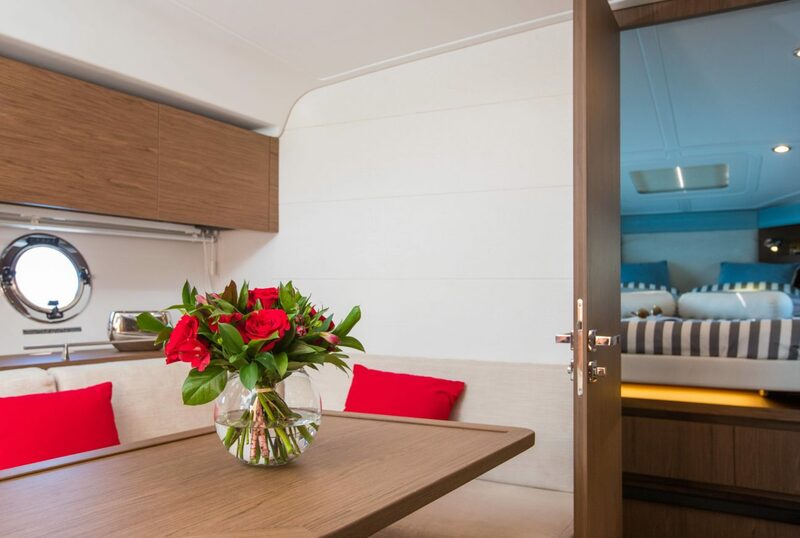 The cockpit has been conceived as a spacious, sociable, comfortable living space, so that up to 10 people can enjoy a full relaxation. 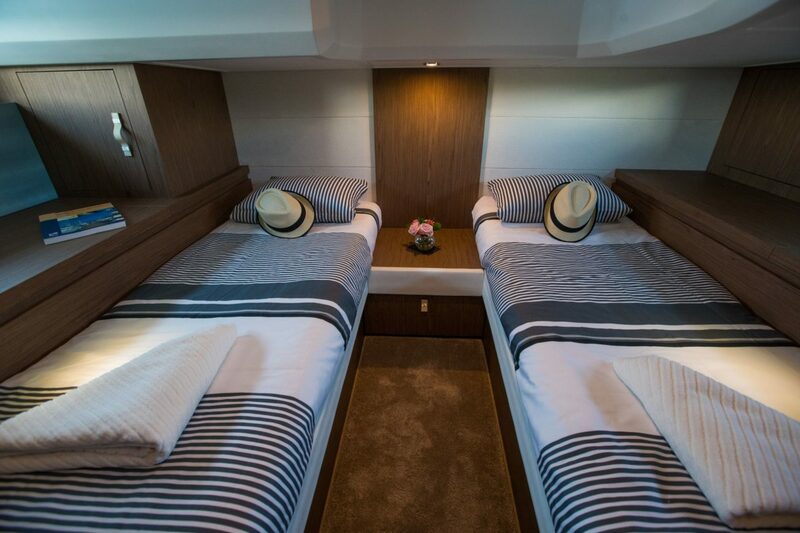 The yacht is featured with a front sundeck, convertible seats into a sunbed, open sun-roof and an easy accessible swim-platform equipped with a shower. Secure the best yachting experience with Terranautika today. Send us a message with all of your questions and preferences, one of our nautical experts will get back to you.